“This year in Davos, we talked about the Fourth Industrial Revolution- how high technology will promote rapid industrialization and how digital can impact lives for the better,” said Winston Damarillo, a Filipino Young Global Leader recognized by the World Economic Forum (WEF) which held its 2016 meeting at Davos-Kosters, Switzerland in January. As of date, several organizations are already helping companies and the Philippine government to adapt to Big Data, Cloud Computing, and other digital innovations through Industry 4.0. Industry 4.0 also aims to empower MSMEs through PLDT MSE Nation, micro, small, and medium-sized enterprises (MSEMs) as well as startups can leverage business-enabling solutions through hardware, broadband connectivity, and mobile devices to gain competitive advantage. One effective solution is the Smart Tracker which enables the business owners to monitor their vehicles or staff in real time to ensure productivity and security. Smart Tracker is a part of a suite of industry-specific enterprise tools called Smart Logistics Solutions that include fleet management, e-ticketing systems, and digital proof of delivery. In promoting Industry 4.0, top executives from Meralco, PLDT SME, Landbank, BDO, Hortonworks, and NEC Philippines will give presentations at the Open Collaboration with East Asia New Champions Summit 2016 (OCEAN 16) in Bohol. OCEAN is a biennial gathering where global leaders discuss how to better shape the future. Organized by the New Champions of the World Economic Forum, the upcoming event will impart insights from Davos 2016 as well as introduce a roadmap for “Digital Bohol” that will serve as a guide for local government units in harnessing smart technology. “The government support is important to unlocking the potential for technological innovation. 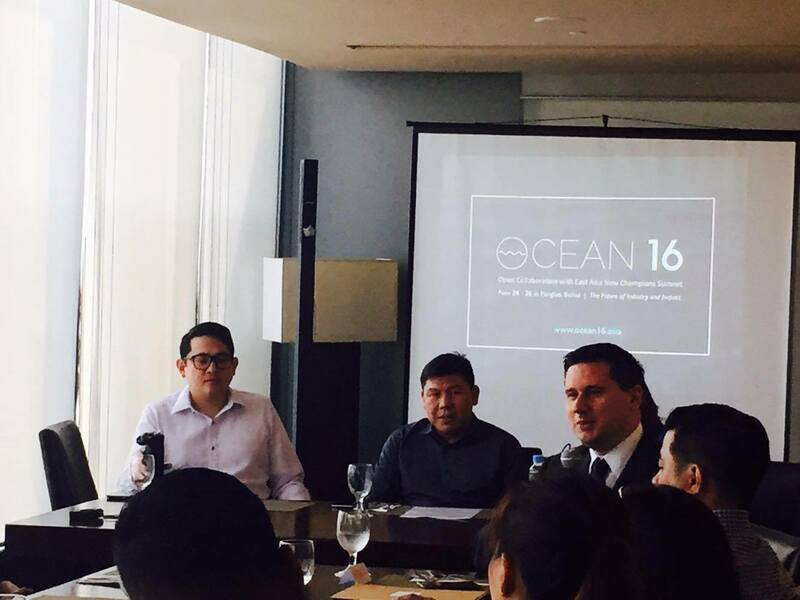 That is why we are pushing for the Innovative Startup Act, so that we can boost our digital startup community,” said Senator Bam Aquino, co-chair of OCEAN 16.